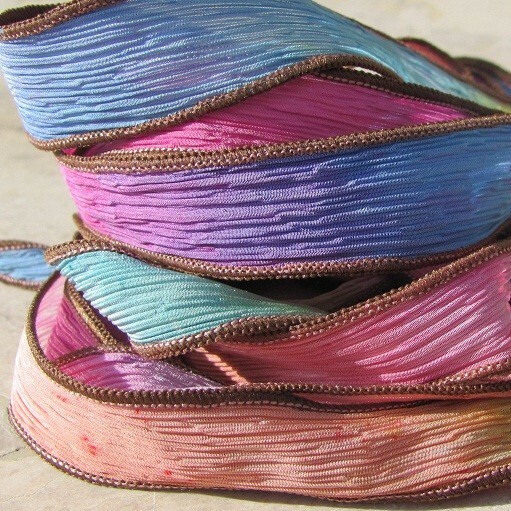 Each of these ribbons is hand dyed and sewn using 100% silk and no two ribbons will be exactly alike. 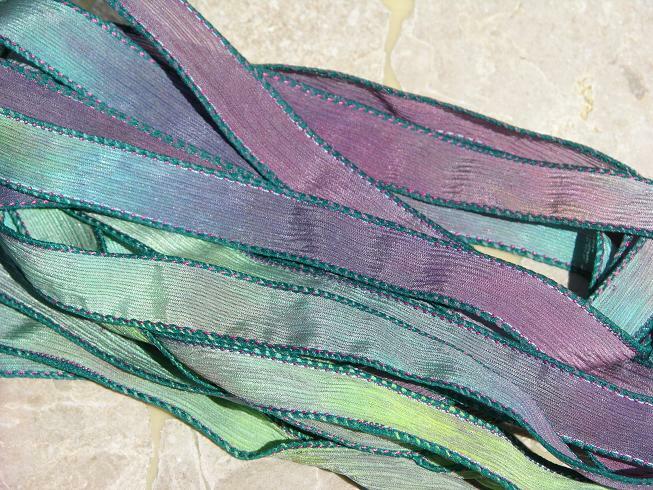 Each ribbon is approximately 1/2 inch wide X 34-36 inches long and is sewn to a point. 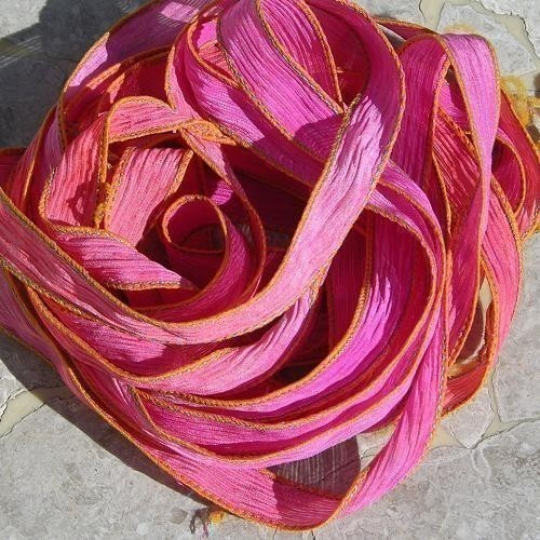 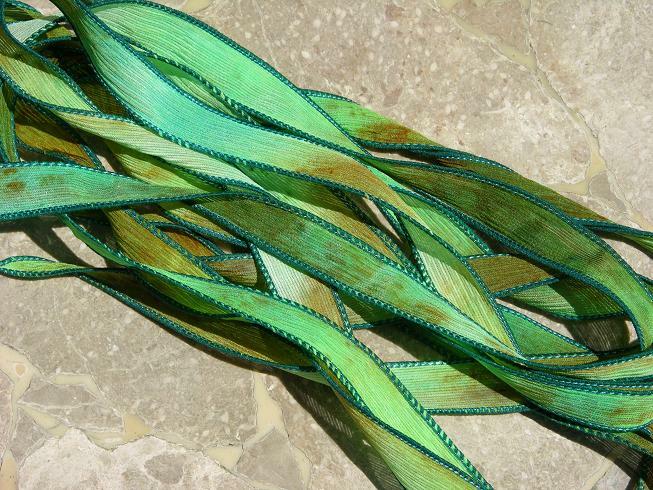 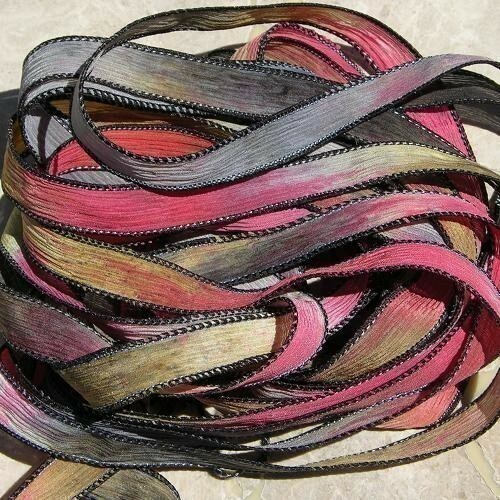 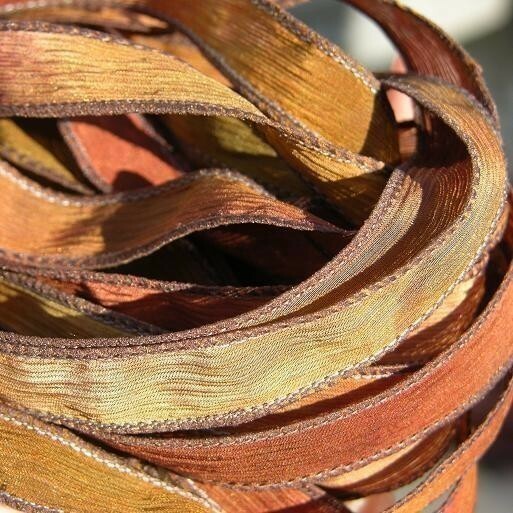 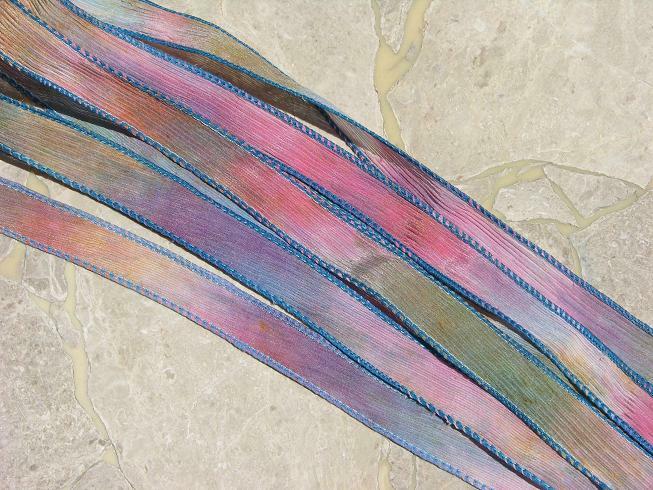 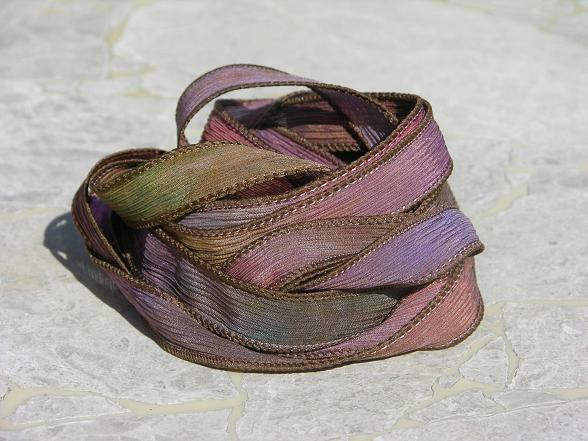 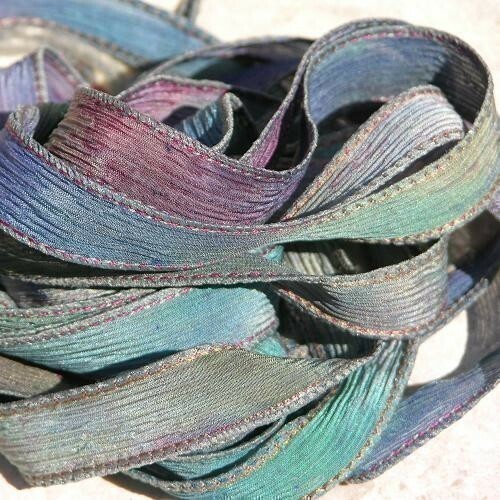 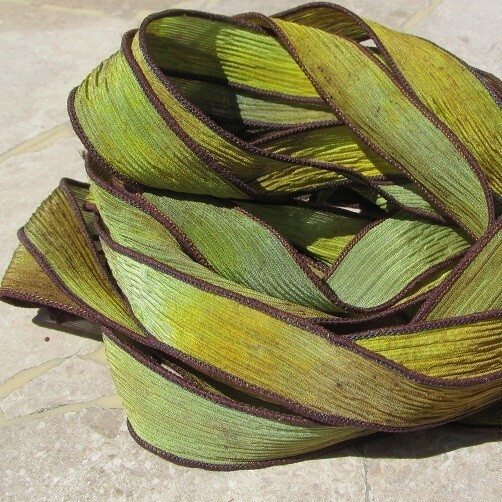 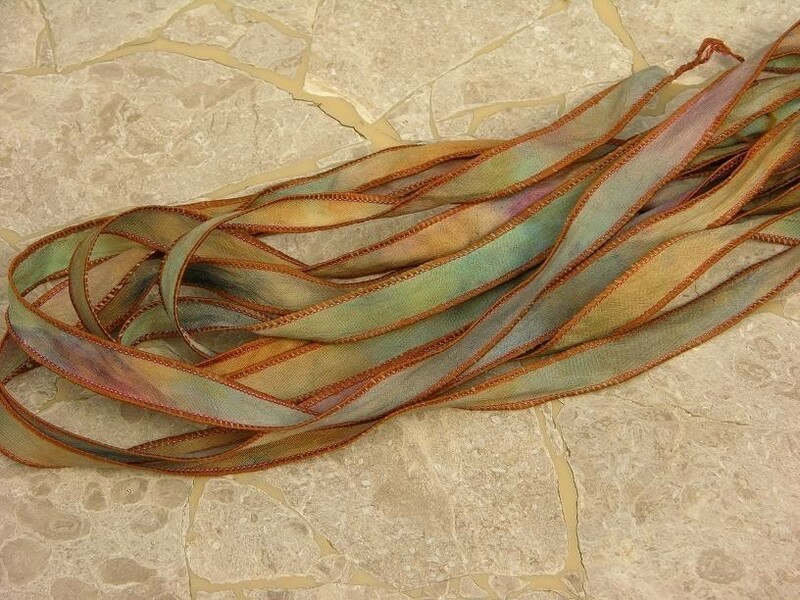 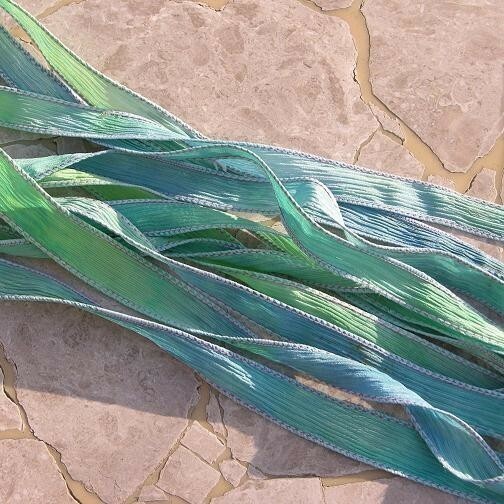 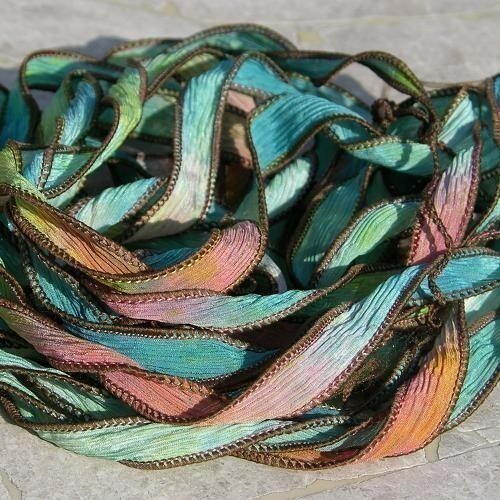 Gorgeous velvety soft and subtle silk ribbons are great for your lampwork art beads, custom jewelry or craft items! 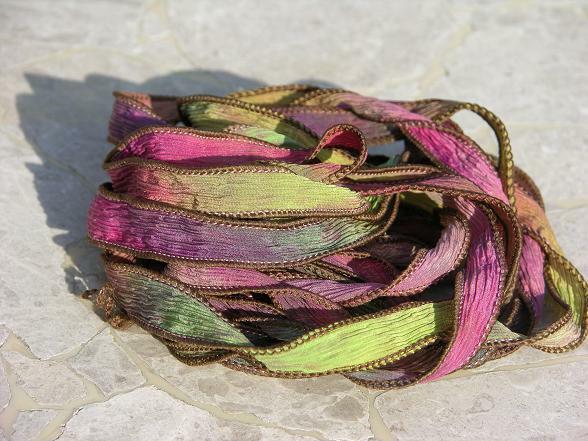 This texture of this silk is so delicate and feels wonderful next to the skin! 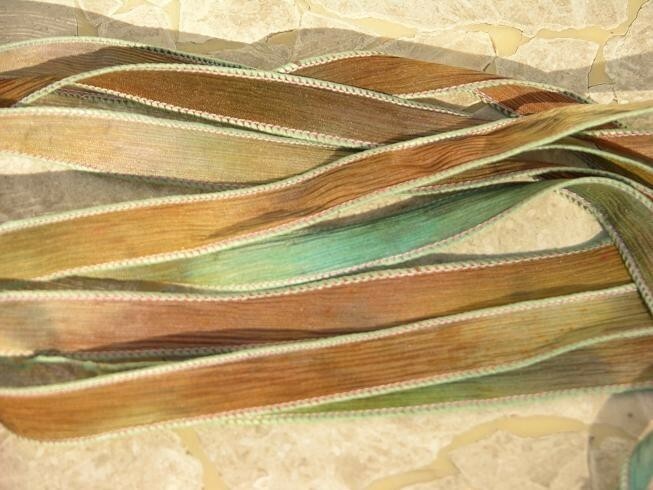 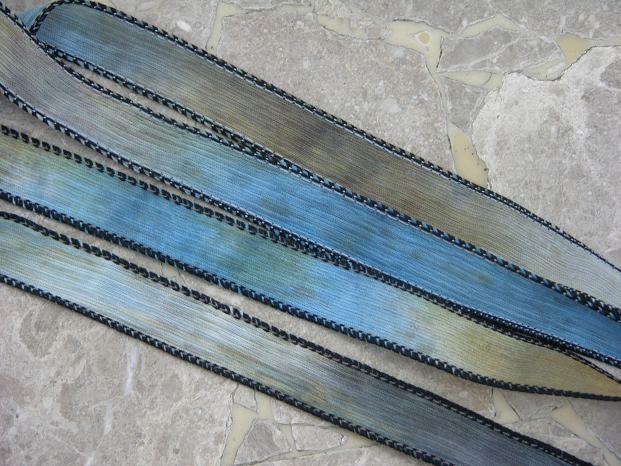 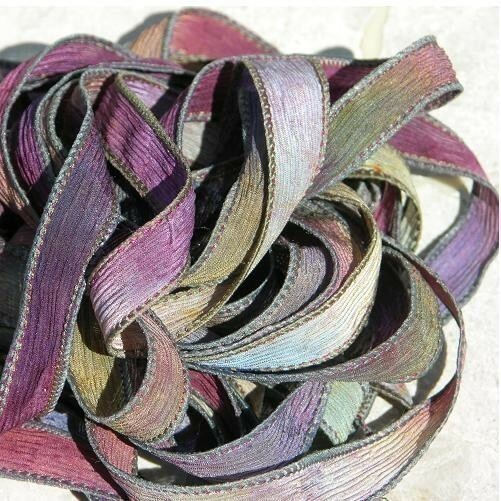 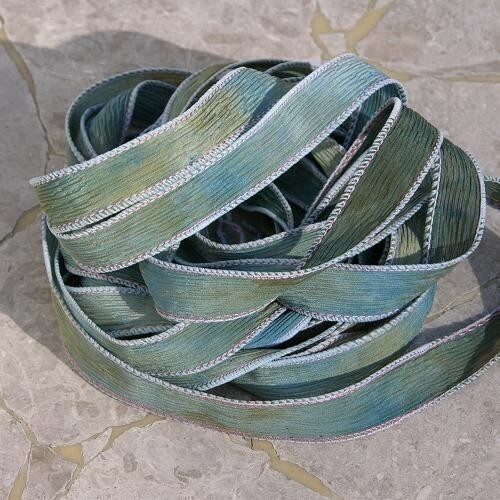 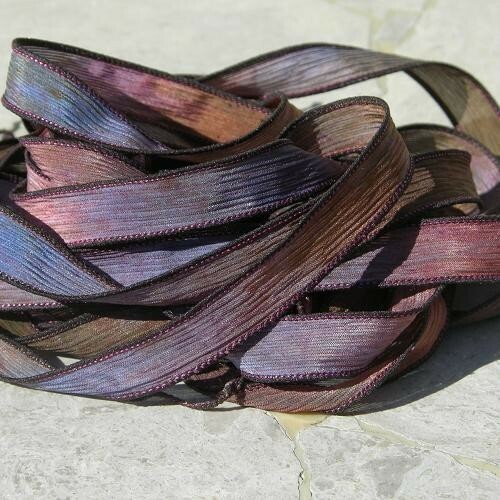 I hand-dye and/or paint and sew these ribbons using only 100% silk. 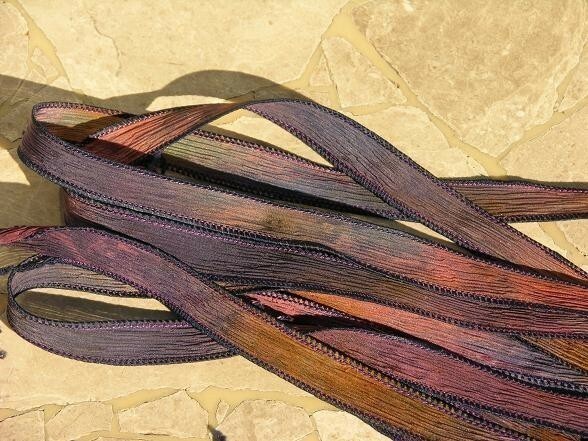 I make my own custom colors blends.